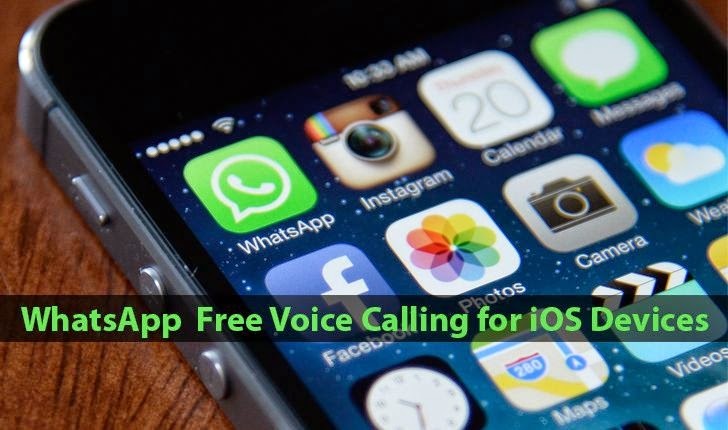 After rolling out WhatsApp’s Free Voice Calling feature for Android users late last month, the widely popular messaging service has started to roll out the feature to iOS users. Now iOS users can enjoy making free voice calls through WhatsApp, as the new version of the messenger is now live in the iOS App Store with support to calling. WhatsApp calling feature allows you to call your friends and family anywhere in the world for free as long as you have a Wi-Fi network or a working data plan on your registered number. "Call your friends and family using WhatsApp for free, even if they are in another country. WhatsApp calls use your phone’s Internet connection rather than your cellular plan’s voice minutes (Data charges may apply) Note: WhatsApp Calling is rolling out slowly over the next several weeks." The last line indicates that the feature, so far, is not actually available for all iOS users, but rather will be available in “the next several weeks” when the new WhatsApp Calling reaches your iOS device. Not just free voice calling, WhatsApp for iOS also adds some major updates to the messaging app. It comes with its sharing extension, which means now you can easily share links, photos and videos from within other apps directly to WhatsApp. Moreover, WhatsApp tends to roll out other new features that include a "quick camera" button, which lets you quick access to the camera so that you can shoot and send videos and photos from within WhatsApp messages. But honestly: Free Voice Calling is the real kicker. You can download the latest version of WhatsApp from the App Store now, however you will definitely have to be a little patient to wait for the messaging giant to switch the button ON for the free voice calls on your account.